The strange science of motivating your team. Inspired by billionaire investor Charlie Munger, I have been thinking a lot about incentives. “From all business, my favorite case on incentives is Federal Express. The heart and soul of their system – which creates the integrity of the product – is having all their airplane come to one place in the middle of the night and shift all the packages from plane to plane. If there are delays, the whole operation can’t deliver a product full of integrity to Federal Express customers. And it was always screwed up. They could never get it done on time. They tried everything – moral suasion, threats, you name it. And nothing worked. I’m a card-carrying Munger groupie, so, naturally, this got me thinking about what the incentives are in my own company, and how these ideas might be applied to help our customers in theirs. My first thought was that it’s simple – I should just pick the metrics that I want to go up, and then give a bonus to the team members when those metrics go up. But as author Dan Pink explains, it’s just not that simple. As Pink tells it, if a job or task is extremely simple and mechanical – assembling widgets, cleaning dishes, doing pushups – incentives and bonuses work as expected. Often wonderfully, as Munger’s example illustrates. But for creative or knowledge work (anything that requires cognitive skill), external incentives can lead to poorer performance. The strange truth is, for creative work, external incentives will lead to a focus on the reward, and will take the focus off of the task at hand. What motivates us to do great creative or cognitive work, it turns out, boils down to three main factors: autonomy, mastery, and purpose. Dan advises, for creative and knowledge work, just pay your team enough to get the money issue off the table. In the context of your business, here’s what this means. First, don’t immediately throw out the idea of incentives and bonuses just yet. What?! After all that science?? Yes. Stick with me. Remember: the factors of autonomy, mastery, and purpose only apply to tasks that require creativity or cognition. When a job is simple and mechanical, incentives and bonuses work wonderfully. Recognize that some of the work your team does is simple and mechanical. Case in point: sharing company content on Facebook, Instagram, or Twitter is a super simple task. Sharing doesn’t require deep concentration, focus, or (necessarily) deep senses of autonomy, mastery, or purpose from your team. As a simple task, incentivizing and gamifying sharing content can work wonderfully, so think about how you can make your advocacy program (whether that’s employee advocacy, customer advocacy, fan advocacy – whatever it is) fun and engaging, with exciting bonuses attached to performance. Remember, though, that for tasks that require more creativity and thought (maybe you want to have your ambassadors or team members developing new products or strategies, creating more in-depth content, etc…), don’t go to heavy on the incentives. For those more complex tasks, simply pay your team members enough to get the money problem off the table, and think of ways to build in the factors of autonomy, mastery, and purpose into the job. 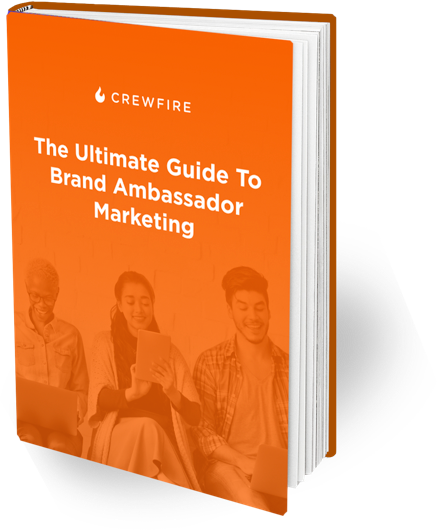 The Ultimate Guide To Brand Ambassador Marketing. We’ve distilled years of brand ambassador marketing experience to show you how to start, run, and manage an effective brand ambassador program for your company. In this week’s update, we're excited to introduce several BIG new features in CrewFire that will help you manage and communicate with your brand ambassadors more effectively. CrewFire Updates: Ambassador sharing flows, new help desk, and more! Another action-packed week at CrewFire with more product updates to help you drive more shares from your brand ambassador program.